NEWARK, N.J.-- The leader of one of New Jersey’s largest mosques, who is accused of lying on his green card application, was in court Monday to fight deportation. Imam Mohammad Qatanani, the leader of the Islamic Center of Passaic County, didn’t disclose being convicted in Israel for being a member of Hamas, federal officials have said. Qatanani denies that he was ever a member of Hamas, which is classified as a terrorist organization by the U.S. government. He says that he was only detained -- like many others at the time -- and was never told that he was convicted of anything. He also said he was subjected to physical and mental abuse while in detention. Eight years ago, a judge ruled against immigration authorities’ attempt to have him deported. “We believe the justice system in this country is very special,” he said before entering court Monday, The Record reported. Qatanani was born in the West Bank and said that he was detained by Israeli officials while visiting there in 1993. He came to the U.S. in 1996 from Jordan. His brother-in-law was a senior Hamas military leader killed by Israelis, but Qatanani said in his 2008 trial that he did not participate with him in political activities. 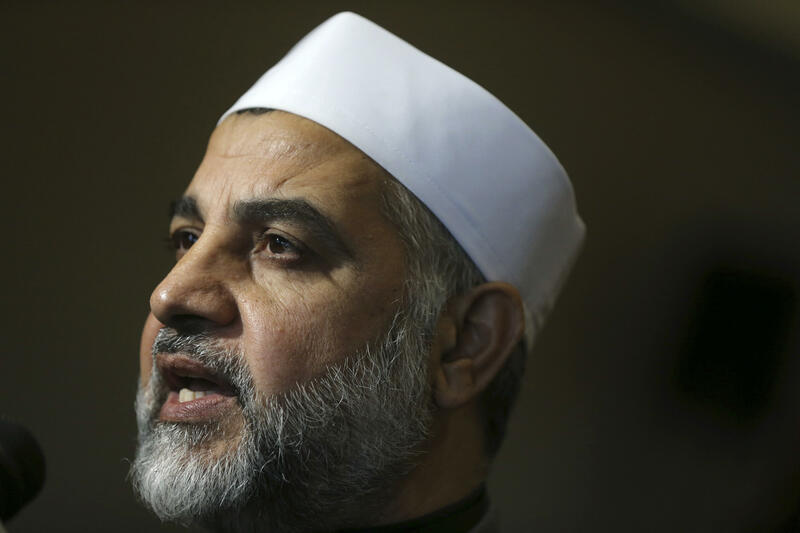 Khalid Abu Goura, who served on the board of a mosque in Jordan when Qatanani was imam there, said that he never spoke about Hamas. Goura also said that he never saw any Hamas-related books or literature in Qatanani’s possession. Goura also said imams were banned by Jordanian law from talking about politics, and that they could only be hired after a background check by Jordanian intelligence and security agencies. An FBI agent testified previously that Qatanani admitted that he had been arrested and tried. Qatanani came to the U.S. on a religious worker visa to lead the Paterson mosque and has been credited with working with leaders of different faiths and law enforcement. He has worked on the New Jersey attorney general’s office’s Muslim outreach task force.